Bobby Deol was born on 27th Jan 1969 Mumbai to Dharmendra and Parkash Kaur. 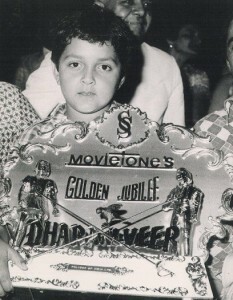 His birth name was Vijay Singh Deol. Bobby is known for his thriller films where he played anti heroic roles like in Gupt, Badal, Bichhoo and Jurm. 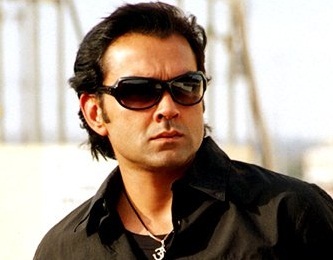 Bobby Deol completed his education at Mayo College, Ajmer. 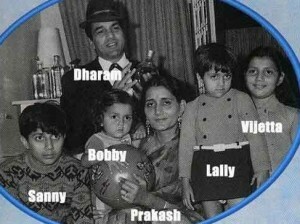 Bobby made his acting debut with Dharam Veer in 1977 as a child actor alongside Dharmendra and Zeenat Aman. 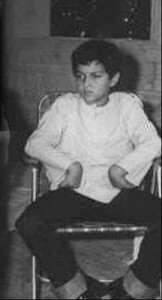 His Bollywood debut in adult role was with Barsaat in 1995 alongside Twinkle Khanna, Mukesh Khanna and Raj Babbar. His father Dharmendra was born on 8th Dec 1935 in Punjab to Kewal Kishan Singh Deol, school teacher & Satwant Kaur, home maker. He married Parkash Kaur in 1954 and the couple gave birht to four children. He made his Bollywood acting debut with Dil Bhi Tera Hum Bhi Tere in 1960. His most notable film was Sholay in 1975 alongside Amitabh Bachchan, Sanjeev Kumar, Hema Malini, Jaya Bhaduri and Amjad Khan. He contested in 2004 elections and became Member of the Parliament from Bikaner in Rajasthan. He was honoured with Padma Bhushan by Govt of India in 2012. 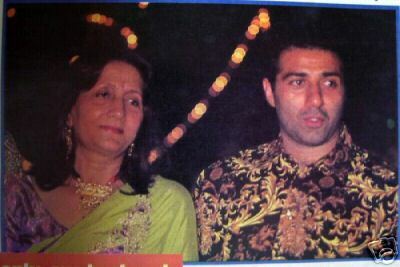 Bollywood actor Sunny Deol is his elder brother, he was born on 19th Oct 1956 in Ludhiana. 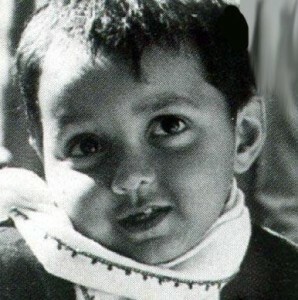 His birth name is Ajay Singh Deol. 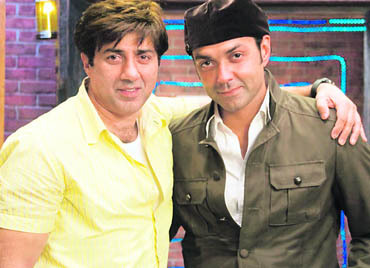 He made his Bollywood film debut with Betaab in 1984. Sunny Deol married Pooja Deol and the couple gave birth to Karan Deol and Rajvir Deol. 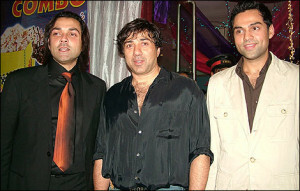 Bobby Deol has two sisters named Vijeyta and Ajita. 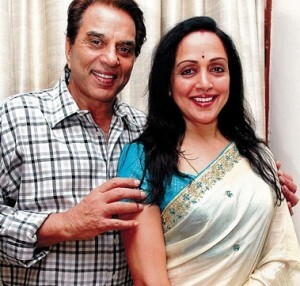 Dharmendra fell in love with Hema Malini while filming of Sholay and married her in 1980. 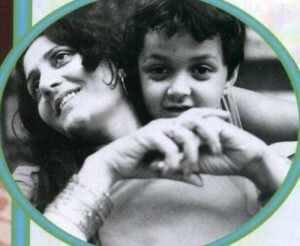 Hema Malini was born on 16th Oct 1948 in Tamil Nadu. She is an actress, dancer, producer and politician. She made her Bollywood acting debut with Sapno Ka Saudagar in 1968. Bobby Deol has two half sisters named Esha Deol & Ahana Deol. His father Dharmendra fell in love with Hema Malini during the filming of Sholay in 1975. 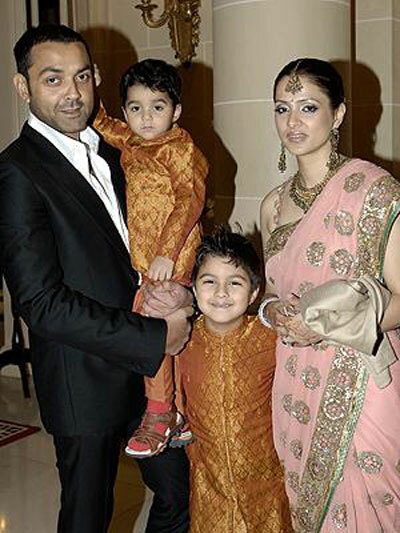 The couple gave birth to two daughters Esha Deol and Ahana Deol. Both of them are well trained classical dancers and actresses. 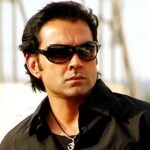 Actor Abhay Deol is his cousin. 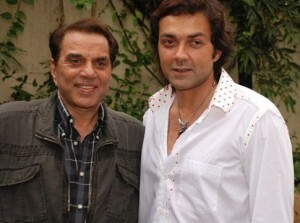 Abhay Deol’s father Ajit Singh Deol is Dharmendra’s brother. Bobby is married to Tanya Ahuja and gave birth to two sons named Aryaman Deol and Dharam Deol.